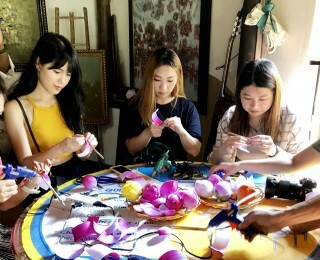 Recently, some enterprises have creatively built new experiencing tourist products, contributing to enhancing diversity of Hue tourism. "Rolling wheels with Hue - Revisiting the ancient Chi Lang, Gia Hoi town” held by Beebee Travel which offers visitors an enjoyable experience. The monotony of travel products in Hue city so far simply limits visitors to available heritage sightseeing tours, and no other services are offered to attract them to stay in Hue longer. In coping with this reality, the local tourism industry is determined to encourage and support businesses to build new tourist products and routes, and revitalize existing products and tours to attract more visitors. 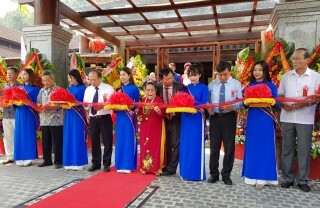 The Travel Management Office of the Department of Tourism made references to recent examples of new tours, such as Hue tour with ancient Vespa, Ngoc Island exploration tour of Lang Co Bien Xanh tourism company, renovated spiritual tours with many destinations being explored by tour operators, and the most recent Hue's folk song singing and food service on Nam Xuan boat of Dong A Infrastructure Investment and Tourism Co., Ltd. 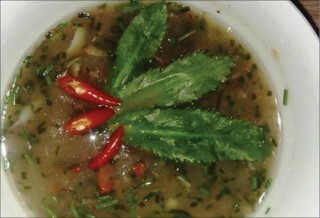 These products are, to some extent, effective adds-on to the traditional cultural and heritage tours of Hue. Recently, Beebee Travel Company has operated three new tours and received positive feedback from many visitors. 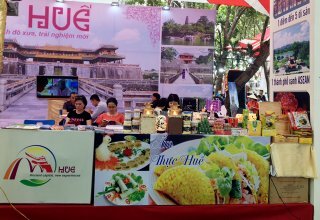 The first is "Walking with Hue", a walking tour that helps tourists learn about the history of the city, enjoy some Hue specialties at Dong Ba market, and see some antiques from the museum. The second tour "On cruise with Hue - Listen to the Huong river telling tales" offers visitors a different view of Hue with the stories of the Huong (Perfume) River. 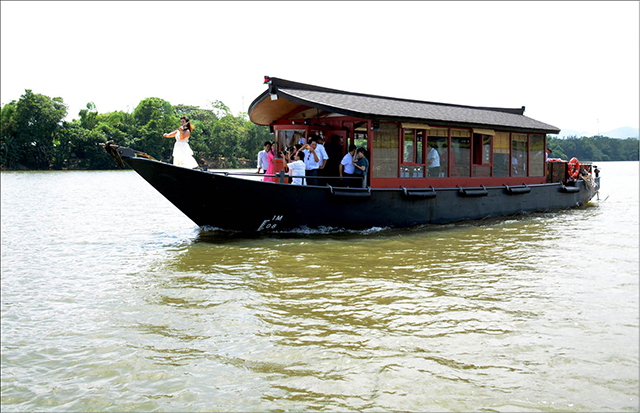 Nam Xuan high-class tourist boat has recently been launched. 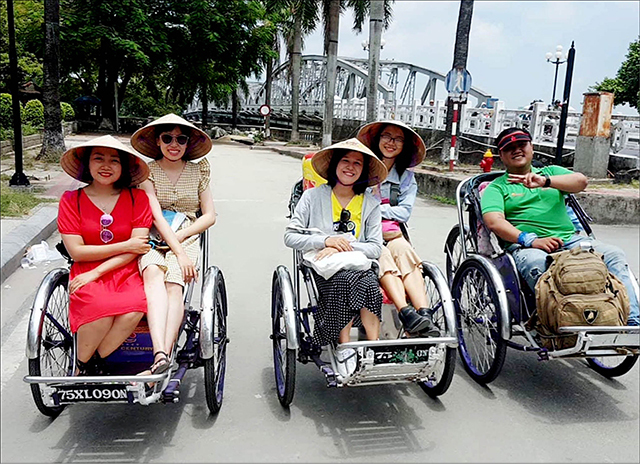 Ms. Ngo Vu Anh Thu, Director of Beebee Travel Company, said that the third tour was "Rolling wheels with Hue - Revisiting the ancient Chi Lang, Gia Hoi town", which helped travelers discover a commercial harbor in its heyday on a cyclo and listen to tales about Chi Lang - Gia Hoi. 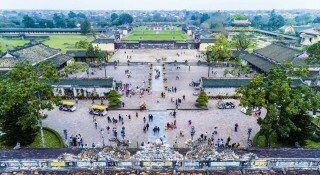 Visitors can also visit Dieu De pagoda with unique dragon paintings on the ceiling, stop by Phuc Kien, and Trieu Chau Club-houses, and enjoy giam nuoc noodles (small jellyfish noodle) - a unique cuisine in Hue. 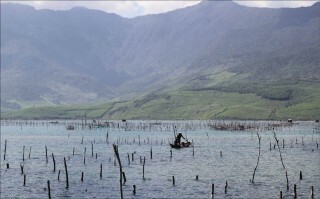 In recent years, tourism exploitation in Tam Giang lagoon has been greatly promoted by enterprises. Hue tourist's "Morning in Thuy Bieu – Afternoon in Tam Giang" is highly appreciated by visitors who have experienced the tour. Tran Dinh Minh Duc, Head of Travel Management Office – Department of Tourism noted that although the destinations in this tour were not new, it was the winning combination of the two chosen destinations, the time, the experience and transportation that made the combo an adequate day-tour. Customer sources and their continuity, however, remain a challenge for enterprises when launching new products. Many of them are unique yet restricted only to certain kinds of customers while financial difficulties for start-ups also pose great challenge. 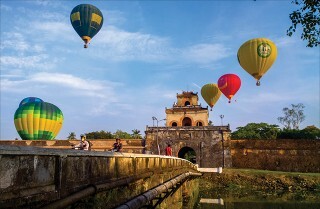 The "Photo tour" of Vietnam Locals Travel and Transport is an example. Highly potential as the tour may seem, inadequate promotion and unstable customer sources discourage the operator from organizing it widely. Some other tours quickly receive public attention but only last for a short time, then undergo radical change or stop operating. At the conference "Creativity in Travel Products - From Ideas to Business Practices" under the ITE International Tourism Fair - HCMC 2018, Jason Lusk - Project Manager of Mekong Innovative Startups in Tourism believed that creativity was necessary to create a unique impression and attract visitors, but for things to go well, the preservation of environment and natural resources must not be neglected. It is vital that tourist product development be closely linked to environmental protection and natural resources conservation, setting high priority to certain types of tourism such as ecotourism or exploration tourism. Nguyen Van Phuc, Deputy Director of the Department of Tourism, emphasized that even now or later, the department would always actively assist enterprises in solving any problems related to building new tourist products in the locality as long as the tour content accorded with local priority and orientation in tourism development such as heritage, culture, community, lagoon, and food tourism. As for community-based tourism in rural areas, the Department is preparing a project to develop support policies for enterprises and individuals in developing their own products. The project is subject to approval by the provincial People's Council and provincial People's Committee in the coming year.